The Tokyo subway is convenient for sightseeing as its network of railroads covers the whole city. But, how about sightseeing by bus occasionally? 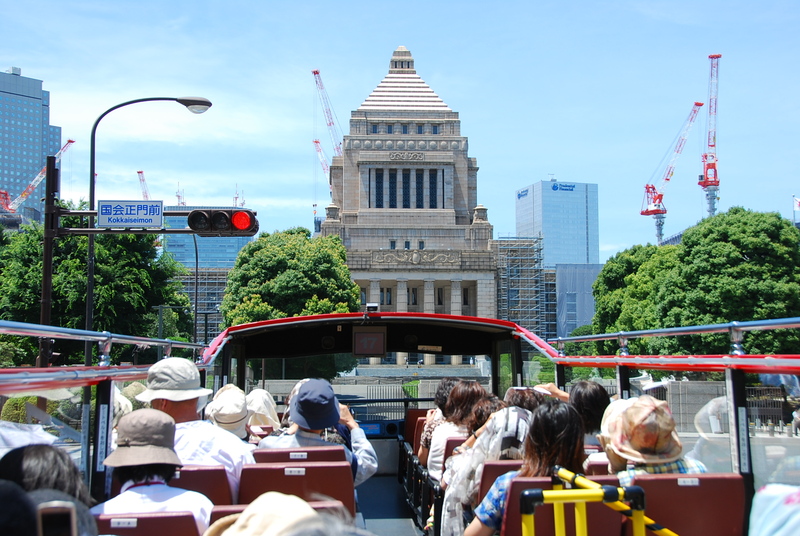 Today, open roof sightseeing bus is very popular in Tokyo. A bright red two-story bus goes around sightseeing spots such as Asakusa, Skytree and Odaiba area. Roof top two-story bus has a higher line-of-sight than everyday and is refreshing. 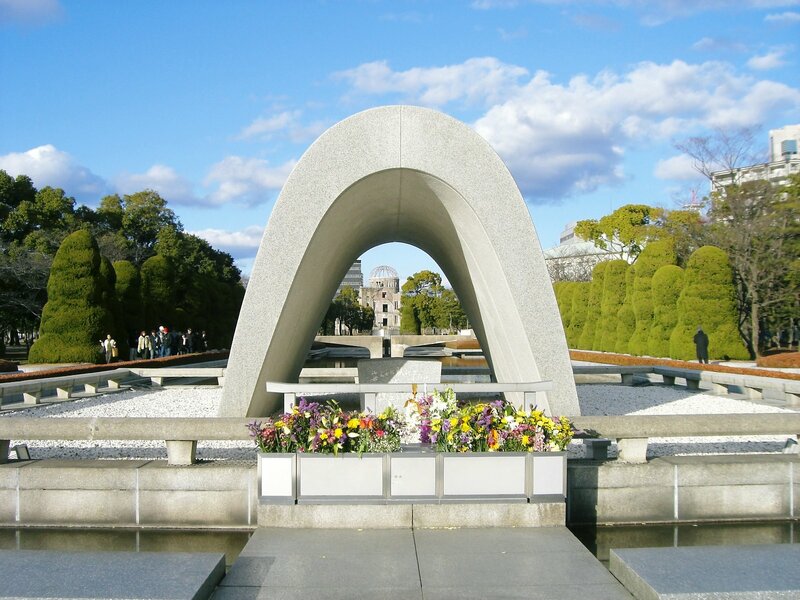 Please enjoy open air sightseeing in Tokyo on a sunny day. There are two types of two-story sightseeing buses. SKY HOP BUS freely getting on and off the main tourist spot and SKY BUS which allows you to explore the popular spots in a short time. There are three courses of SKY HOP BUS. “Asakusa, Tokyo Skytree course” around Akihabara, Ueno station, Asakusa, and Tokyo sky tree. “Odaiba course” which passes from Tokyo Tower via Rainbow Bridge to Odaiba, passes through Toyosu, Tsukiji and Ginza. And, in addition to the Odaiba course, it is “Roppongi, Odaiba course” which you can access to Roppongi. Transfer to other courses is also possible. If you get on the bus, you will be able to access the main sightseeing spots in Tokyo, so it is a nice tour for tourists. It is two birds with one stone so you can enjoy the scenery of the city of Tokyo from the bus window while you are on the move. Meanwhile, SKY BUS features that you can enjoy sightseeing spots from the bus window around 1 hour, and there is no stopover. It’s perfect for when you do not have much time or when you are tired of walking. Tourism from the bus is free from congestion. 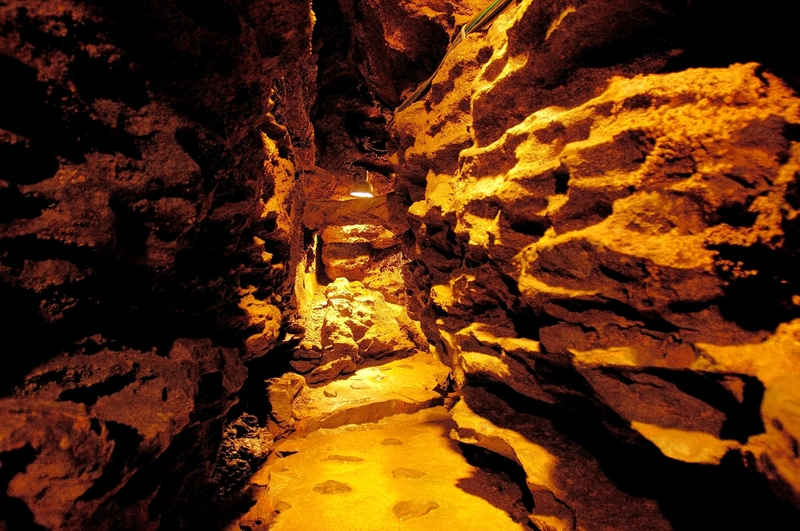 Courses are attractive, such as the Imperial Palace, the Omotesando, night views of Odaiba and Ginza. Looking at the Japanese Diet Building from the middle of the road is a precious experience you can not do easily. 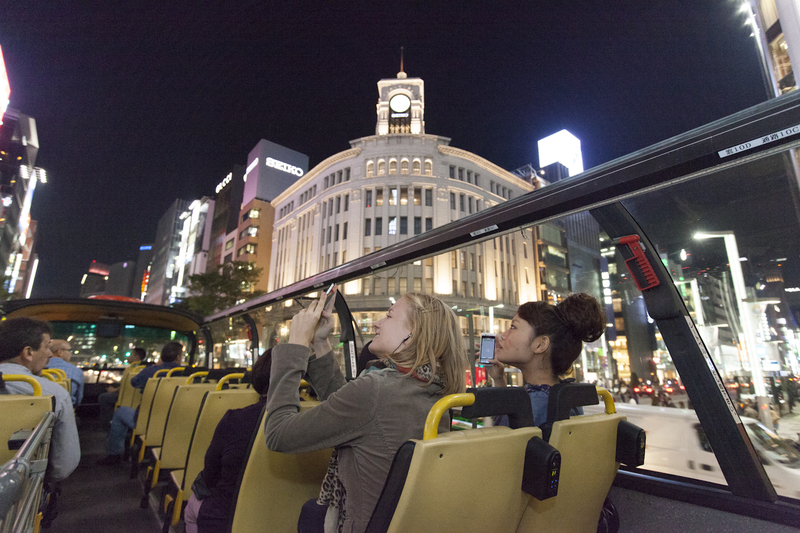 The “SKY BUS TOKYO” is a two-storys sightseeing bus around the main sightseeing spot of Tokyo. It started a sightseeing tour as the first opening top bus in Japan in 2004 and attracted the many tourists who visited Tokyo. The second-floor part in this 2-story bus is the seat space and you can enjoy the superb view of the sky from the ceiling being opened widely with comfortable wind. The kind of the bus is abundant, too. 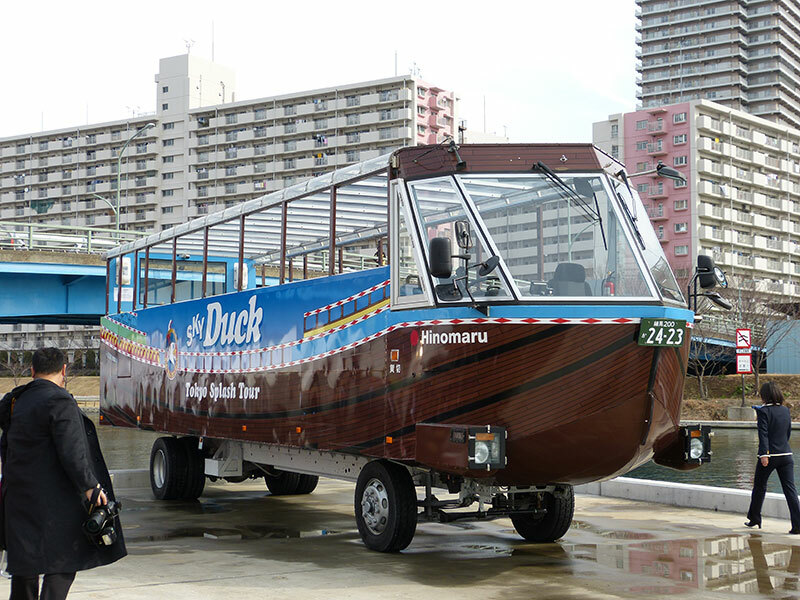 There are many attractive buses and courses Including “SKY BUS TOKO” which you can enjoy car window sightseeing for a short time, “SKY HOP BUS” which you can get on and off it freely, and amphibious bus “SKY DUCK”. 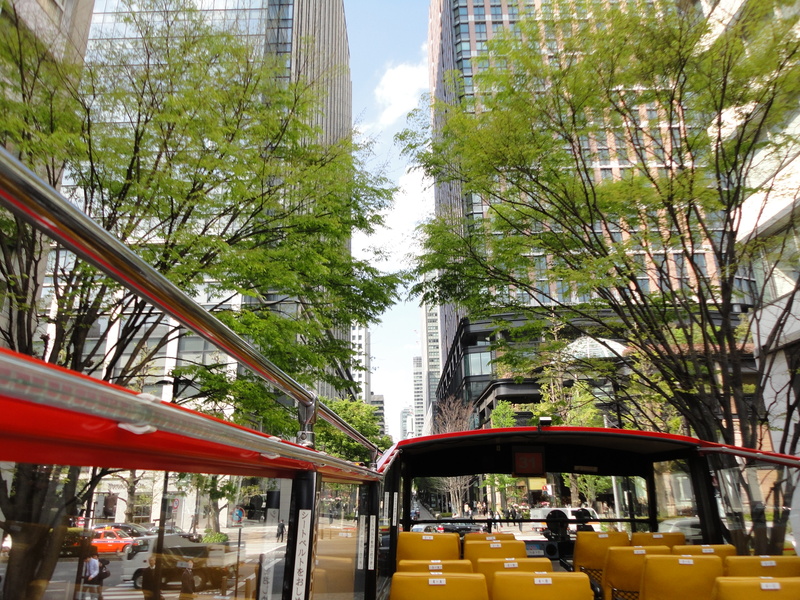 You can enjoy plentifully a sense of space in the tour around the famous place of Tokyo by 2-story open bus “SKY BUS”. 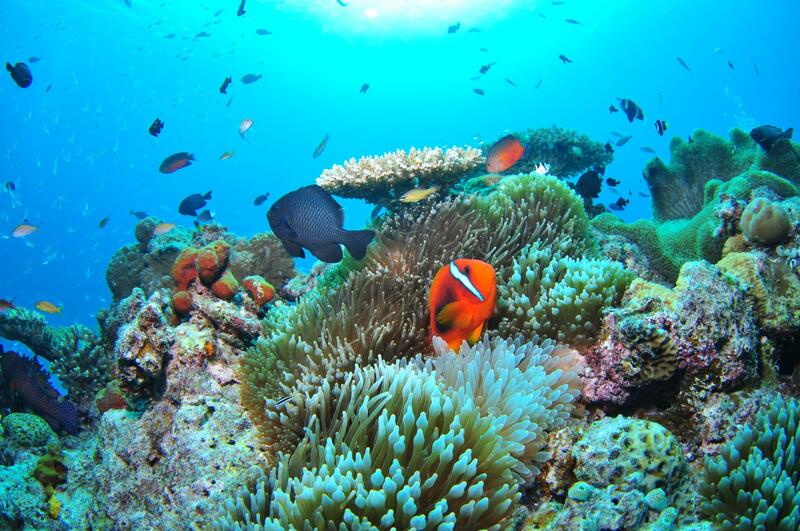 The bus tour has gained popularity as being a long queue at the bus stop on a holiday, because you can enjoy the sightseeing with different viewpoint than usual in short time. 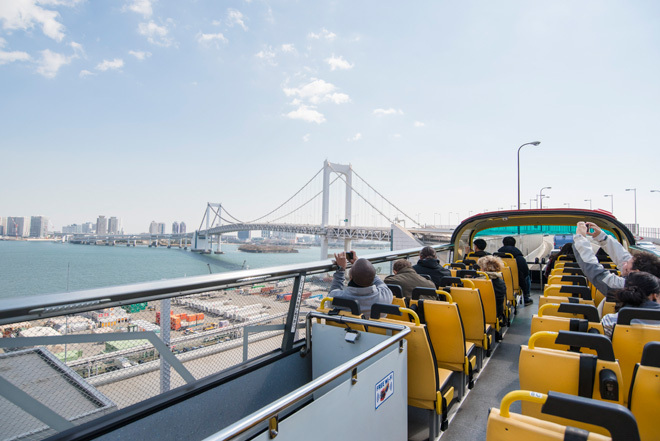 It is an attractive open bus tour for the person who “wants to go round the famous spot without taking much time”, “wants to turn around taking much time”, and “wants to see different scenery of Tokyo”. Transit fare depends on the course.